The roof is one of the most important components of a homes structure. Thats why Sanchez Bros Custom Exteriors Inc., makes sure that your roof provides effective protection while enhancing your buildings appearance and adding valueto your property. 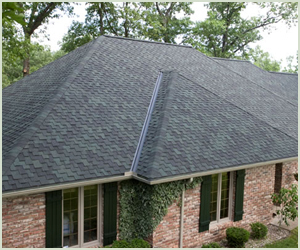 Roofing problems can result from age, wear or storm damage. If left unresolved, they can be harmful to the entire structure and even more expensive to repair. Replacing or repairing your roof as soon as problems arise is the key to keeping energy costs down, maintaining a clean and attractive exterior, and avoiding interior damage that could result in leaks, mold and mildew growth. and adding more expensive repairs further down the road.We are fully insured for both liability and workers compensation. 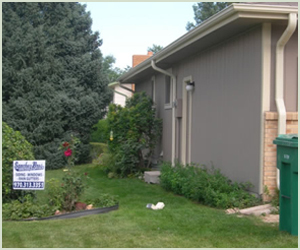 We use Owens Corning, GAF, and Tamko products. We are an active member of the Better Business Bureau and can provide referrals upon request. We are proud of our work and takes pride in our quality craftsmanship. It is for this reason we offer up to a 5 year workmanship warranty. We are proud members of the VSI accredited training programs. Our professional installers adhere to the strictest standards in the industry. From the initial inspection, to the last nail, we perform each project with care, patience and expertise. 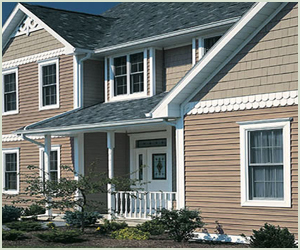 Crane Board composite siding stands apart from other vinyl sidings in that it insulates, as well as protects your home. In order to make the most of this special quality, we take particular care to first ensure that all of the walls, windows and doors are both solid and secure. We offer a variety of colors and sizes of seamless gutter systems. Our installers manufacture your gutters on site to the exact lengths for your home and install them with heavy duty hidden hangers. All of our corners are hand cut to customize your homes look. We offer a 5 year installation warranty with all of our gutter work. “After getting several bids we had Sanchez Brothers install our new rain gutters. The work was done quickly and we are extremely pleased with the quality of the work.” Maggie Hart. We also carry Alcoa Leaf Relief, which comes with a ten year NO CLOG manufacturers warranty. This system has more holes per square inch than the leading competitors, allowing for more controlled water drainage, yet small enough to keep out debris. 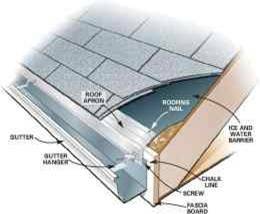 Why Gutter Guards Are Needed http://www.leaf-relief.com/ The fundamental purpose of rain gutters is to channel and divert water away from the foundation of your house. However, rain gutters easily get clogged and when they do, problems can quickly arise. When rain gutters get clogged with leaves, twigs, granules from shingles, and other debris, they overflow and can cause costly damage to your home.